Constructed of a very sturdy molded plastic, this tag does not bend. 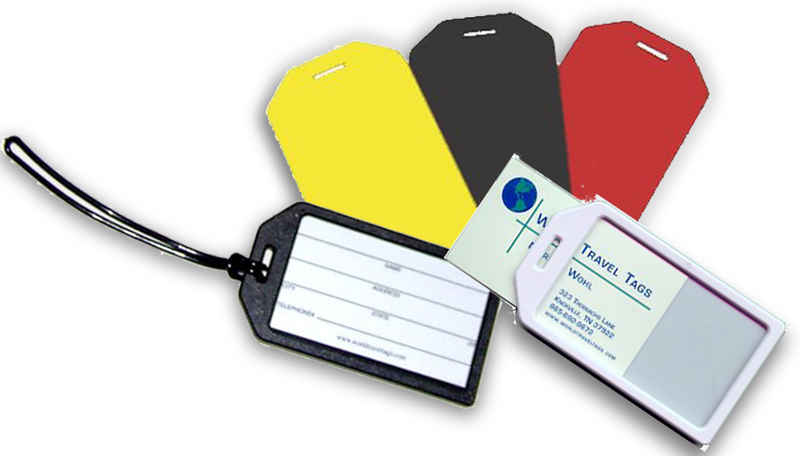 The front surface of the tag can be imprinted with text and/or a logo. A standard business card or an ID card is inserted into the tag and is visible under a clear plastic window. An included vinyl loop facilitates easy attachment to any suitcase or bag. Since several options are available for these tags, please contact us with your specific needs so we can give you accurate pricing and production information. Several examples of this style of tag are shown below.